Defending your city may be dangerous, but you can be sure your head will stay safe with the Guardsman Helmet - Polished Steel helm! 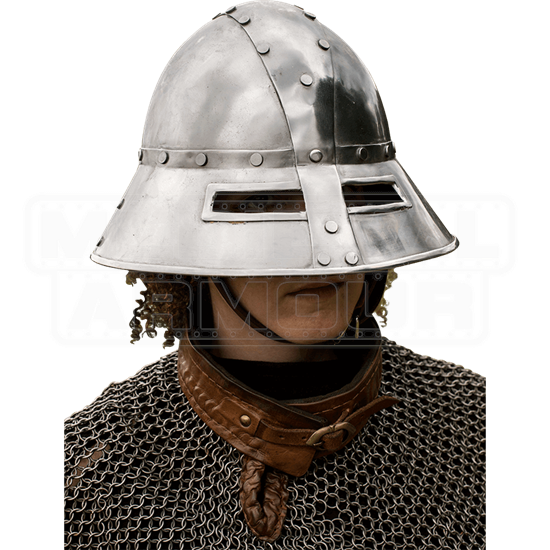 This polished steel helmet will bring a standardized aesthetic to whatever guard uniform you assemble! Like all helmets, this kettle-hat style helmet covers the top of your head but also possesses a visor that covers the upper half of your face while keeping your mouth visible. The visor and the helmet are fastened together with broad rivets of polished steel. A buckled leather chin strap helps to keep the helmet on your head in the event that you look up or down. 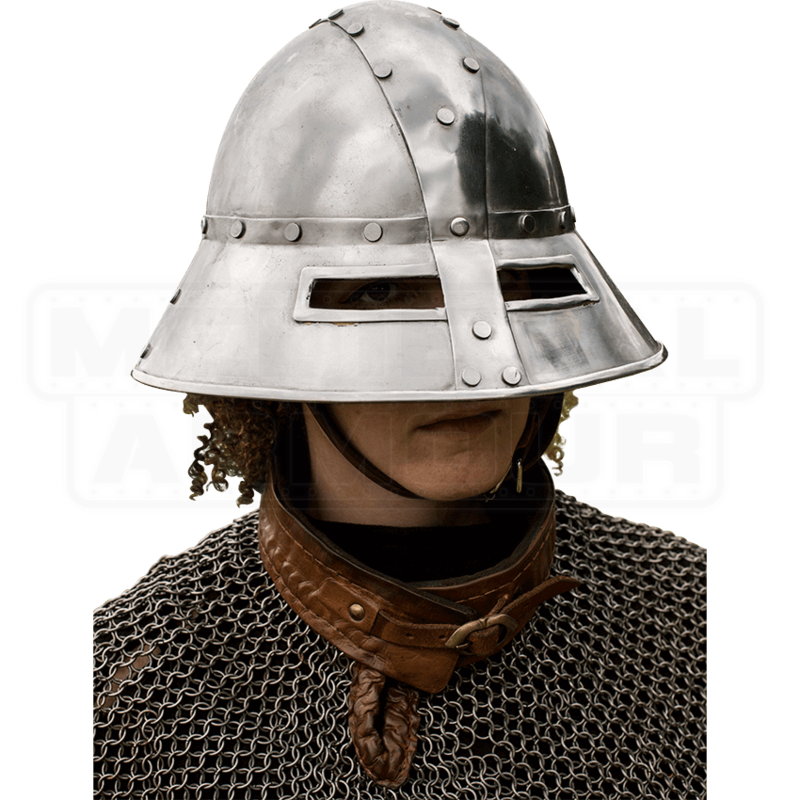 This incredible 19 gauge steel helmet is perfect for LARPing, cosplay, and reenactments! Use it to add some extra protection to your costume or outfit or wear it to a Ren Faire!